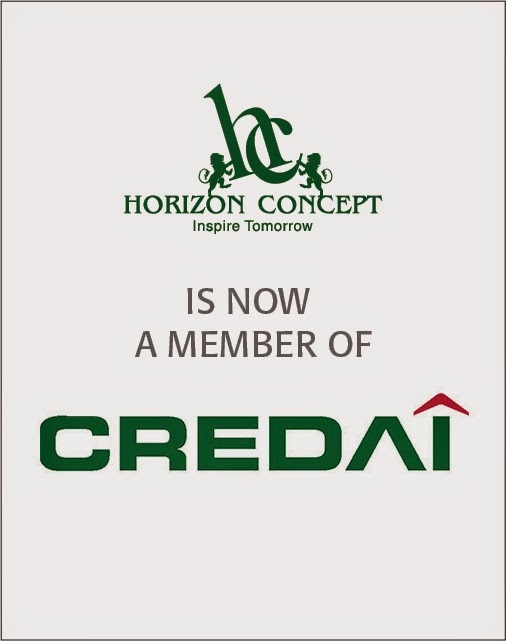 Horizon Concept Pvt Ltd: HorizonConcept is now a proud member of CREDAI; why is it a great news for investors? HorizonConcept is now a proud member of CREDAI; why is it a great news for investors? As a part of a leading group in the Indian real estate scenario, Horizon-Concept aims at building value for its customers on a foundation of trust. So, it comes as no surprise that we have become a proud member of The Confederation of Real Estate Developers Associations of India (CREDAI). CREDAI is the apex association of developers and builders in India with more than 8500 member developers with representation in all the major cities and states of the country. The main objective of CREDAI is to promote high standard of real estate development and construction activities so as to promote transparency in systems and to establish honorable and fair dealing of the developers and their customers. The home buyers can be safe with their life time investments, if they buy their homes from developers of CREDAI Members. Their website offers detailed information in all real estate matters and valuable information on all the related sectors as well. It is an eye-opener to the layman who is often intimidated by the crucial legal and financial matters of buying a home and offers detailed solutions to each of these matters. With Horizon Concept's own belief of working in the real estate industry with utmost transparency, zero tolerance for corruption and red-tapeism, joining forces with CREDAI was the next natural step in that direction - ensuring increased level of trust for its investors. Ways to make your home Eco-friendly!